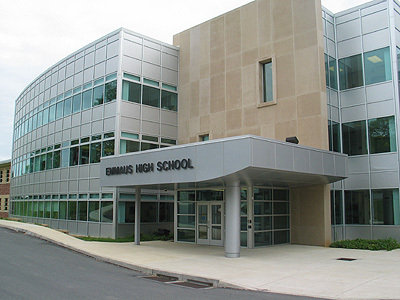 Developments in the investigation of 50 22-caliber bullets found near the Emmaus High School cafeteria on Oct. 29 led to the removal of two students, Superintendent Michael Schilder announced today. Since the incident which caused a nearly 4-hour lockdown that prompted parents to line up outside the school, police and administrators followed numerous leads and questioned students, which ultimately resulted in the citation of two students, Schilder said Nov. 6. The possession of bullets on a school campus is not a crime, according to Lehigh County District Attorney Jim Martin; however, it is a violation of Emmaus High school code. The arrests were not criminal charges, but the incident is part of an ongoing police investigation. “I thank and commend our students, staff, and community for handling this situation in such a calm and responsible manner,” he stated in his release. Nonetheless, the mandatory lockdown on Oct. 29 allowed police and school personnel time to search lockers, which annoyed students who were told to remain in first period classes before they were released at 11:15. Martin confirmed last week that no weapons were recovered during the search of the campus. 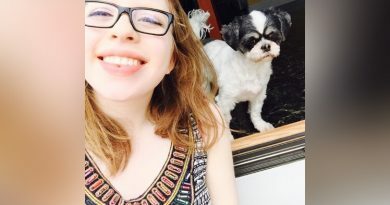 Senior Mariah Kern felt the lockdown was an unnecessary reaction to the incident, comparing the precautions taken by administration surrounding the bullets to their reactions towards a series of bomb threats made in school during the 2012-2013 year. 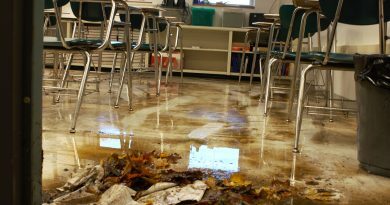 District leaders decided to close the high school on Friday, Oct. 30, to allow police and school officials more time to investigate new leads; classes resumed Nov. 2. 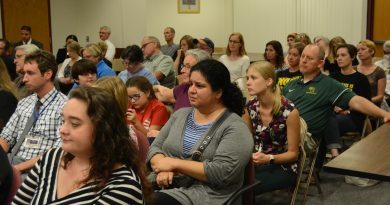 Although the school was deemed safe, some students remained hesitant about attending on Monday. Junior Michael Gallagher felt apprehensive about returning after the incident, but he knew he had to trust the administration’s decisions. Junior Josh Runzo agreed, noting that the decision to cancel school on Friday was necessary. Although some students’ worries carried over into the weekend, attendance on Monday, Nov. 2, remained relatively high — and classes resumed without incident. Teachers were asked to hold off on giving assessments scheduled for Friday since students could not access lockers on the day of the lockday. And by Tuesday, much of the anxiety surrounding the incident had worn off. All extra-curricular activities had resumed, and many students prepared for the Drama Department’s production of “Romeo and Juliet,” which opened Thursday. Throughout the rest of the week, talk of the traditional rivalry surrounding the Emmaus-Parkland games this week filled the halls and dominated conversations as many students attended the sporting events.